We're only 10 days away from Comet ISON's pass around the sun, and it seems there's hope for its 'Comet of the Century' title after all. 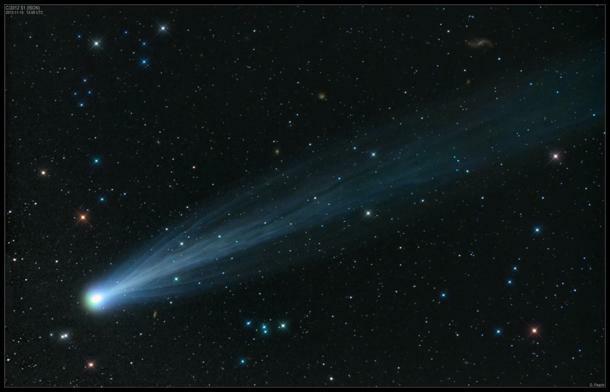 Astronomers from all around the world — amateur and professional alike — have captured some spectacular photographs of the comet since it brightened dramatically last week, and just within the last day or so, the comet's tail lengthened to incredible proportions. Comet ISON is now roughly half way between the orbits of Venus and Mercury, on its way for a November 28th close-encounter with the sun. As predicted and hoped, it brightened significantly as it passed the orbit of Venus, becoming bright enough in the pre-dawn sky to be visible to the naked eye. but it's the close-up, dark-sky images that are really showing off just how spectacular this comet really is. These, taken by Maximilian Teodorescu in Romania, are great. 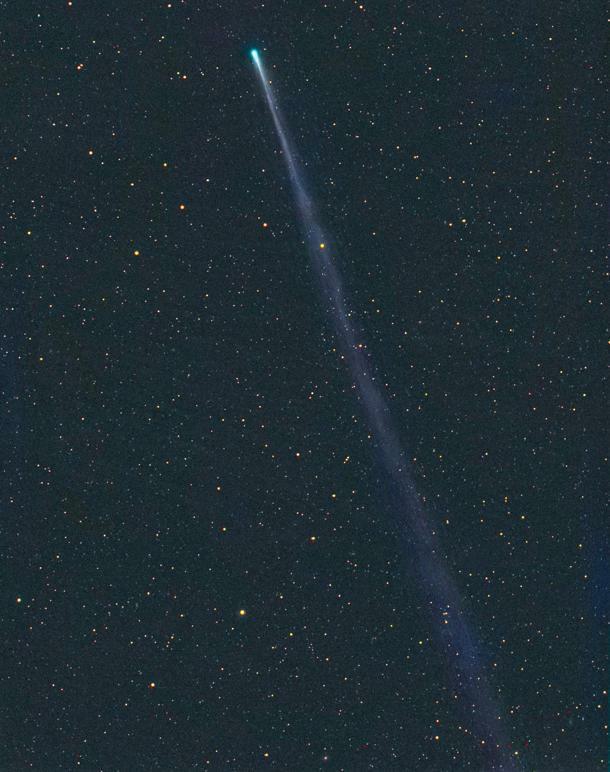 However, this one taken by astrophotographer Michael Jäger, from Austria, shows off the incredible tail the comet has produced, and reveals just how long the tail has become. According to SpaceWeather.com, the tail is around 16.5 million kilometres long, 12 times longer than the sun is wide. So, even when the comet gets lost in the glare of the sun, the tail is long enough that we'll still be able to see around 15 million kilometres worth of it! Those hoping that Comet ISON would live up to its initial 'Comet of the Century' title (which includes yours truly) have had a rough time of it over the past year. There have been plenty of 'scares' and ominous predictions about ISON — not about it being some kind of doomsday comet, but simply about it showing signs of breaking up or just being a dud. However, the comet has survived all the pessimism so far to become a really impressive sight! The comet's close pass around the sun next week will still have many of us on the edge of our seat, hoping that it can survive. If (hopefully 'when') it emerges from the glare of the sun going into early December, it should be putting on a dazzling display to everyone in the northern hemisphere. The best view right around New Year's Eve, when the comet passes by at roughly 60 million kilometres above the north pole of the planet, adding its own fireworks to our celebrations.